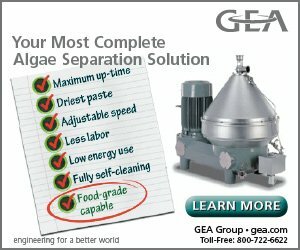 Home / Algae Secrets / A Green Friendship Bridge for Puerto Rico? A Green Friendship Bridge for Puerto Rico? he Green Friendship Bridge proposes to shift 1% of the cost for Trump’s proposed wall to build peace microfarms throughout Mexico and Central America. The Friendship Bridge will advance freedom, peace and prosperity rather than constructing an ugly and largely useless barrier. Puerto Rico needs peace microfarms too. Microfarms provided with training for farmers and families scattered across Puerto Rico, will create jobs, reduce malnutrition and improve health. Peace microfarms will enable families to produce good food locally so they do not have to migrate. The Puerto Rico Green Friendship Bridge can resolve food security, malnutrition, obesity and diabetes for millions of Americans. Puerto Rico provides a case study for environmental and health benefits, as well as disaster relief. 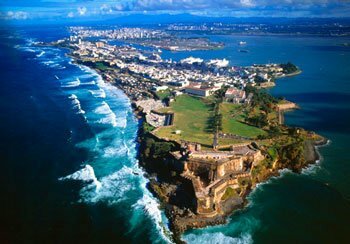 Puerto Rico has a population of about 3.5 million US citizens in an area a little larger than Delaware. Hurricane Maria, a powerful Category 5, 50-mile wide hurricane with 150 mph winds hit Puerto Rico on September 20, 2017. Three months later, over 86% of the 3.4 million US citizens were still without power, the largest power outage in American history. Recovery efforts were slow. Over 300,000 residents moved to Florida by the end of 2017. The storm destroyed over 90% of agricultural production and the infrastructure for future food production — roads, leveled land and irrigation. Without infrastructure, farmers cannot produce field crops. Unfortunately, when ecological disasters occur, countries seldom have the means to buy replacement food for their hungry population. With roads and bridges destroyed, distributing available food becomes problematic. However, microfarms can be diffused quickly because they do not require traditional agricultural infrastructure. Possibly the strongest economic value microfarms offer, beyond sustainable jobs and a healthier local population, is a fast response to disasters. Earthquakes, tsunamis and volcanoes can create ecological and economic catastrophes. Climate chaos amplifies droughts and temperature spikes that kill field crops; wildfires and fierce storms demolish crops. A common element of disaster is an abundance of wastewater, but lack of clean water and food. Peace microfarms packaged in a box can be delivered to disasters sites quickly and provide clean water and fresh healthy food locally in a matter of weeks. Container-based microfarms are not available yet, but are under development. Unlike food deliveries that must be repeated weekly, microfarms can sustain local families and communities indefinitely. The Power On Puerto Rico project provides an excellent disaster recovery model for charging small electronics off the grid. The Amicus Solar Cooperative, a solar energy cooperative, and Amurtel, an international disaster relief nonprofit, are sending 100 off-grid Solar Outreach Systems to Puerto Rico. Peace microfarm growers can produce food and clean water quickly following a disaster. 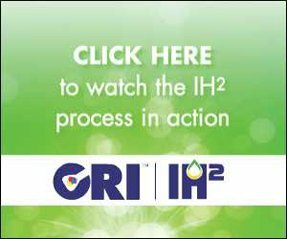 Growers can use abundance methods with wastewater and sunshine to produce food, biofertilizer, biofeed and even medicines. Growers do not need inputs from the central government to continue reliable food production for years. Microfarms have a natural life of about 10 years. Smart monitors, the growers network and preventive maintenance can assure sustained productivity. After 10 years, it is a relatively simple and cheap process to replace the polycarbonate container and liner, as well as any worn pumps and piping. Even before hurricane Maria, nearly 50% of rural children and the elderly in Puerto Rico suffered from malnutrition. After the hurricane, a 4-year-old boy who weighed just 6.3 kilograms, (13.8 pounds) died in December at San Juan’s Pavia Hospital. Peace microfarms distributed across the country can resolve malnutrition and many of the associated diseases. The Algae Dome provides a microfarm example. 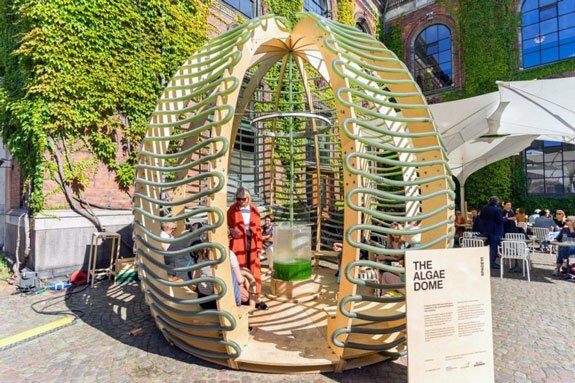 Designed by SPACE10, the Algae Dome can combat chronic malnutrition. SPACE10’s project, displayed in 2017 in the Copenhagen CHART art fair, holds the secret to combating malnutrition, greenhouse gases and ending deforestation. 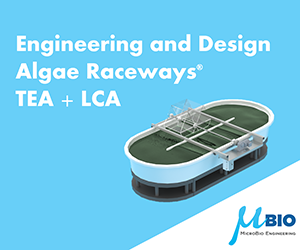 IKEA’s future living lab worked with bioengineer, Keenan Pinto and three architects, Aleksander Wadas, Rafal Wroblewski and Anna Stempniewicz to build a photobioreactor that facilitates the high production of algae that can be grown almost anywhere on the planet. Peace microfarms will lead to spontaneous creativity led by ordinary citizens expressing themselves with extraordinary imagination. Microfarms will become more productive as farmers innovate and develop better methods. Superb nutrition will make children, families and communities healthier and improve their vitality. Microfarms will not only enable farmers and families to produce highly nutritional food locally, but also improve local ecosystems. Distributed local food production offers many advantages for health and ecology. The Federation des Spiruliniers de France illustrates how various producers can thrive, even in climate zones not optimal for algae production. The 2017 hurricane season shows how disasters can leave millions very hungry, thirsty and destitute. Peace microfarms can mitigate disasters such as Puerto Rico by allowing microfarmers to produce healthy food and clean water locally. 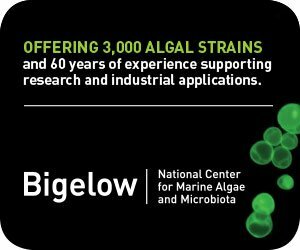 Algae Industry Magazine readers may download a free color PDF of the Green Friendship Bridge book by Mark R. Edwards on the AIM website. The Green Friendship Bridge is also available on Amazon.com for $15. The book provides a policy analysis for valuable economic, social and environmental solutions from shifting just 1% of Trump’s border wall funding to sustainable and affordable food and bioproduct microfarms. Can Peace Microfarms Trump Trump’s Fence with Mexico? Can Peace Microfarms Build a Green Friendship Bridge? What Foods can Peace Microfarms Grow? What are Social Benefits for the Green Friendship Bridge? What are the Green Friendship Bridge Health Benefits? What are Environmental Benefits for the Green Friendship Bridge? What are Ecological Benefits for the Green Friendship Bridge? Do USA families deserve a Green Friendship Bridge? Feedback or insights to drmetrics@gmail.com.